District 6220 prides itself in providing top-notch training for our students and their parents. 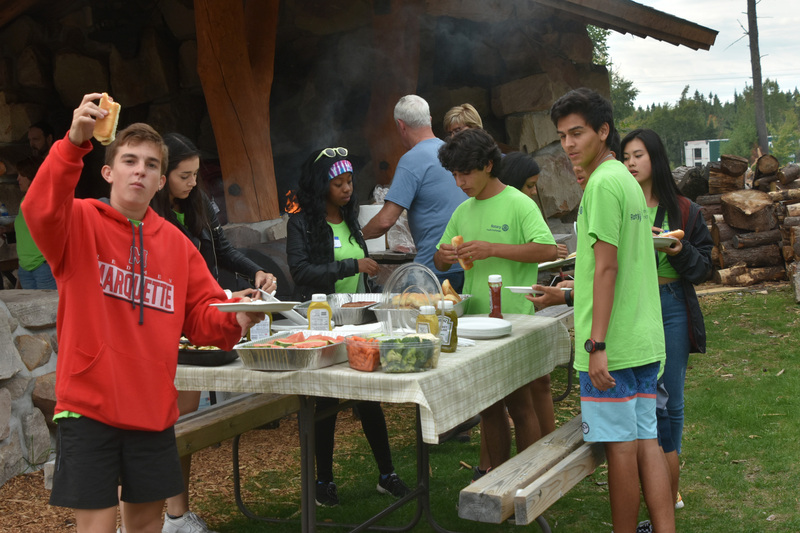 We believe that providing both the students and parents with the information to make their exchange year a success is vital to the Rotary Youth Exchange program. The better prepared our students are for their year abroad, the more successful they will be. Our orientations are a balanced mix of informational seminars and fun activities. For Outbound students: Three District Conference weekends during a busy year of preparation for your year abroad. For Inbound students: Those same three conferences, plus we have special Inbound-only weekends (in late August in Marquette, Michigan, and a Winter fun weekend in January in Wausau, Wisconsin). 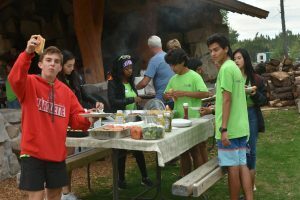 For Rebound students, who have just returned from their year abroad: A Rebound weekend in early August in Waupaca, Wisconsin, and attendance at our District conferences. The Fall District 6220 Conference is held at The Waters Resort in Minocqua, Wis. in mid-October. Here, you’ll meet our District staff and learn about Rotary and Rotary Youth Exchange, all while having fun and getting to know students from all over the world, and students who went all over the world. We’ll get you started on the long-term Rotary Youth Exchange application, and answer all the questions you and your parents have about the program. The highlight of the Fall orientation weekend is the Saturday night Culture Fair, where all of our Inbound students, along with our own USA students who have come back from their year abroad, work their hardest to convince you that “their” country should be “your” country. You’ll probably come to this weekend conference with some pre-conceived notion of where you want to go, but when the weekend is over, you may find your heart and mind pulling you in many different directions. At this point, the world is truly open to you! The Winter District 6220 Conference for you and your parents is held in late-February (or early March) at the Holiday Inn in Stevens Point, Wis. By this time, you’ll know your country assignment, and at this conference, you and your parents will have meetings with our Inbounds, Rebounds and Rotex students to learn about the culture in your new country. You’ll learn about culture shock, social customs in other countries, the exchange year cycle, and you’ll get to meet with our travel agents. You’ll learn how to pack for your year abroad, how to handle money, and about your insurance policy. You’ll learn how to solve problems that may come up while you’re abroad, and how to adapt to your new country as you begin the process of becoming multi-cultural. The adventure is just beginning for our Inbound students when we gather in Marquette, Michigan for a weekend to learn about life in the USA. It’s a fun weekend filled with learning, meeting new friends from throughout the world, working at a service project, and setting goals. The weekend is hosted by the three Rotary Clubs in the Marquette area. The Rotary clubs in Wausau, Wisconsin host the Love is International winter fun conference in January. It’s a time to get together again among friends, be active at a service project at one of the local high schools to talk about your life in the USA, and participate in winter activities including sledding, tubing, and skating. The District 6220 Governor’s Conference is held in May, and is optional for our Inbound and Outbound students. For more details, contact your Rotary Youth Exchange Officer.